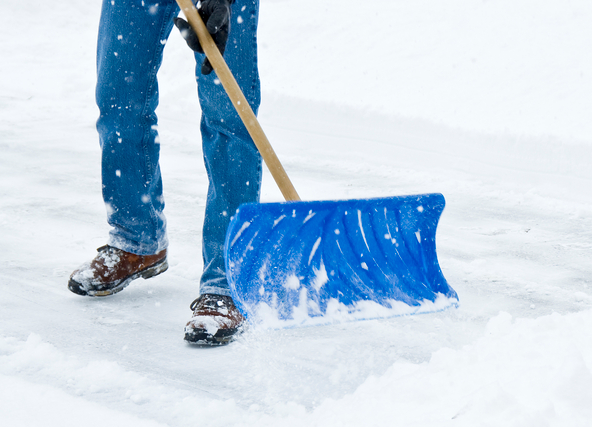 Why Should I Hire A Certified Commercial Snow And Ice Removal Company? Certification is more than a logo—it’s more than passing a test and receiving a title. In the snow industry, certification requires rigorous education, and it sets a high standard. To earn the certification, companies meet stringent safety standards and adhere to best snow and ice removal practices to their clients. 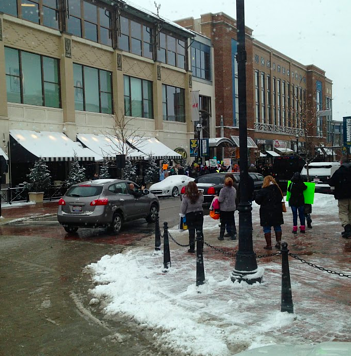 Because as a commercial retail space, office park, healthcare facility or homeowners association in Northeast Ohio, high-quality snow and ice removal services is mission critical for securing the safety of people on your property. You can’t afford to hire a fly-by-night, uninsured snow contractor because there’s too much liability involved. What if someone slips and falls on your property because of snow and ice? What if a vehicle accident occurs in your parking lot because snow wasn’t properly cleared? And, what happens when an inexperienced snow contractor causes damage on your property—taking a plow through a store window, ruining landscape, roughing up surfaces? Now, certification from the Accredited Snow Contractors Association (ASCA) is a strong indicator that a snow and ice management company is worth its salt. (Yes, the pun is intended.) But there is more that goes into selecting a snow contractor—and we get into those details in our Ultimate Guide To Hiring A Snow And Ice Management Contractor. Another reputable snow industry associations is the Snow and Ice Management Association (SIMA), and it offers the Certified Snow Professional (CSP) certification. Schill has both certifications from these associations because we believe strongly in educating our people, and that certification gives our clients the assurance to sleep at night. Because you’re not in the snow industry, we thought it would be helpful to explain exactly what ASCA certification means, and why we value the certification at Schill, which is No. 1 in the state of Ohio and No. 3 in the country for number of ASCA-certified employees on staff. At Schill, we constantly invest in our team by giving employees opportunities to sharpen their skills and advance their careers. Associations like ASCA, for example, provide a rich learning platform for our people, offering classes that focus on best practices and risk management. So, our team understands that clearing snow and ice from your commercial grounds is more than a job—it’s a serious responsibility to protect people and property. And we’re all on the same page. Education fights complacency. And who can afford a snow contractor that operates on autopilot? This is a high-risk, intense job. We make sure our employees are up to the task through certification. We don’t want to scare you, but it’s true—snow and ice can create serious liabilities for commercial property owners if not managed with care. The first risk centers on accessibility for the people who live, work and play on your Northeast Ohio property. When a winter storm occurs, you need a snow contractor to perform efficient, effective services on time, and continuously until the weather conditions have lifted. You need a snow contractor that is prepared for the event before it happens, and that includes having access to ice melting products (which are scarce this season for contractors that neglected to make arrangements). And, let’s think about the equipment that snow contractors operate on your property: heavy-duty trucks with plows, loaders, blowers and shovels. You want a snow crew that’s trained and can operate this snow and ice removal equipment with skill and precision. So, how do you ensure that your snow contractor is dispatching highly trained professionals to your property? Certification is a key indicator. 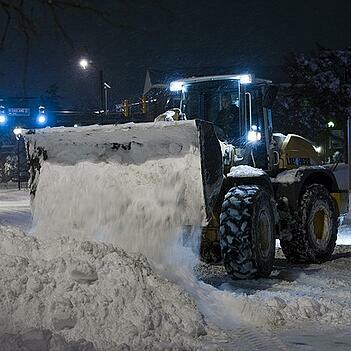 ASCA promotes best practices for snow contractors. At the end of the day, it’s about getting the job done right, and getting it done safely. 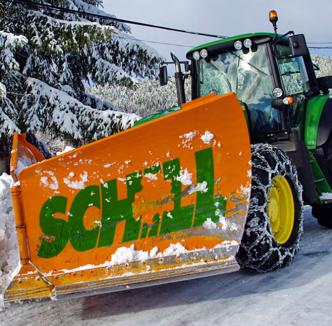 There’s a whole lot that goes into that, which is why Schill creates a detailed, custom winter storm management plan for every property we serve. So here’s the deal. If you hire a commercial snow removal contractor to clear your property and they are not certified and properly insured, you could be taking on way more risk than you realize. Say Mrs. Jones is shopping at your retail center, and because the commercial snow contractor didn’t show up on time or didn’t do a great job, there are patches of ice on the parking lot and snow that’s tough to drive through. Mrs. Jones falls—and she points her finger at you for not clearing your property. Who’s responsible? The snow contractor that didn’t do the job right, or you the property owner? The answer could be YOU if your snow contractor doesn’t have proper insurances and documentation in place. Now, here are some ASCA statistics that will really make you think about this common scenario. Of the 65% of remaining “open” cases, 72% of those settle for $20,000 or less—they’re nuisance claims with a quick payoff. But we know of slip-and-falls that have settled for hundreds of thousands of dollars —you read that right. What company can afford that? In effect, a slip-and-fall injury could put you out of business if you are not protected by an insured and certified snow contractor. Here’s why: It goes back to those best practices, and ASCA certified companies maintain careful documentation. They have all of the proper paperwork in place—dotted Is, crossed Ts, all of that. So, if there is a claim on your property and the snow contractor did its job, that certified contractor has documented proof that can lift the liability burden off of your commercial property. This is huge. The snow contractor you hire must be properly insured and also carefully document all of their activity on your account with logs, even photographs. You want a true partner to keep your property safe in the winter. We’re proud that Schill Grounds Management is the #1 ASCA certified contractor in Ohio and one of the country’s Top 100 companies rated by Snow magazine. We also hold the CSP certification from SIMA. We believe strongly in industry education and promoting best practices. We hope every snow contractor earns certification—it’s that important. Snow and ice management is an emergency service. 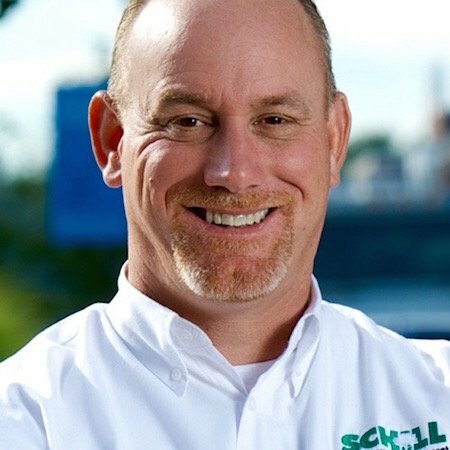 Schill takes this responsibility seriously by educating our employees, holding the highest standards and partnering with commercial property owners like you to ensure that you have a plan in place that addresses risk, accessibility and safety. Ask your snow contractor if they are certified and insured — and ask for proof. Ask about a storm management plan. Download our Ultimate Guide To Hiring A Snow And Ice Management Contractor. And please call us to learn more about preparing for winter the right way. Contact us at 440.327.3030, or fill out this simple contact form and we’ll get in touch with you.